William Beacom, age 79, of Aurora, passed away Saturday, January 14, 2017, at Park Place in Grand Island. Funeral Services will be held 2:00 P.M. Friday, January 20th at Higby-McQuiston Chapel. Rev. Mike Reiners will officiate. Interment will be in Aurora Cemetery. Visitation will be from 5 - 7 P.M. Thursday at Higby-McQuiston Mortuary. Condolences may be e-mailed to the family through the mortuary website at www.higbymortuary.com. William Richard Beacom, the son of Clifford and Alice (Dahlke) Beacom, was born in Stockham, Nebraska on October 27, 1937 and passed away in Grand Island, Nebraska on January 14, 2017, at the age of 79. William grew up in California. He graduated from Long Beach Polytechnic High School in 1957. William worked at Walker Department Store where he met Judy. William married Judy Marie Allison on June 11, 1960 at Linwood, California. They had two sons, Clifford and David. He worked for John Mansville for 8 years. In 1972, they picked up the family and moved to Aurora, Nebraska. 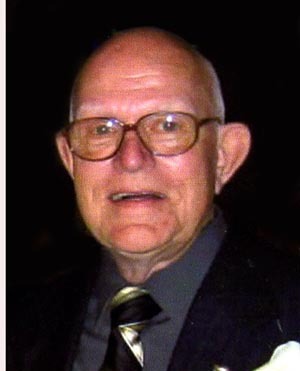 William worked at Wortman’s, Stan Allen’s, Century Mfg and Van-Care for many years. William and Judy managed the Vet’s Club for many years. Judy passed away on January 17, 2008. William loved to play the piano and organ. He also loved to play pool on Saturdays with his dad and friends. He really enjoyed listening to music and loved to spend time with his family. William was a great story teller. His grandchildren meant everything to him and he travelled all over to watch their events. William was a member of the Sons of the American Legion. William was always known for the way dressed and he took pride in how he looked. Those left to cherish his memory are his two sons, Clifford (Carrie) Beacom of Grand Island and David Beacom of Grand Island and his girlfriend Miki Valenta of Lincoln; 5 grandchildren, Alicia, Aaron, Allison, Dakota and Ciara Beacom; 3 step-grandchildren, Andrew, Erik and Kayla Beckstrom and other relatives and friends.